Often when one leg is shorter than the other it is because that person leans on the shorter leg more than the other. They do this because in the past they have sprained or broken something on the opposite leg. So they will walk on the healthy leg to relieve pressure on the injured leg. After the injury heals if they do not equally wa lk on both legs they will continually lean on the “healthy leg”. 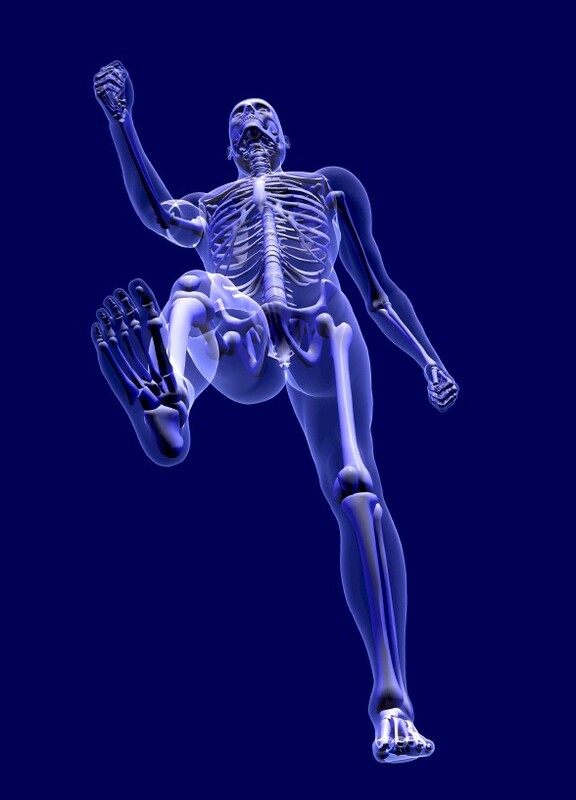 When you walk on one leg the foot has to point outwards more to support all the weight. This makes the outside of the leg tighter which will pull the hips backward and shift the pelvis to the injured leg side. 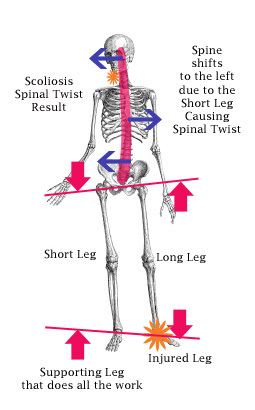 This will affect the foundation of the spine and it will start to curve causing scoliosis. 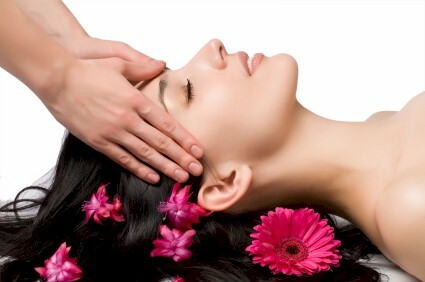 The spine will continue to curve all the way up the neck and cause cervical neck pain. So if you have a chronic neck pain on the right side of the neck then you are[Answer Revealed in the Free Download here] (which would be the short leg). When one leg is shorter than the other it best just to concentrate on this leg. Step Point[Answer Revealed in the Free Download here] is best to lengthen a short leg. This requires hitting the[Answer Revealed in the Free Download here] and lengthening your leg behind you. If you work on these issues without flexing the toe your symptoms of low back pain, hip pain, and scoliosis will continually need to be treated.